The San Francisco Police Department opened a new bilingual drop-in center on Wednesday at the Portsmouth Square Clubhouse in an effort to encourage more residents and merchants who live and work in Chinatown to report crimes to the police. Bilingual foot patrol officers will be available to speak with the community on Wednesdays and Fridays from 4:30 p.m. to 6:00 p.m. Residents and merchants can come in and discuss safety issues and to report crimes. 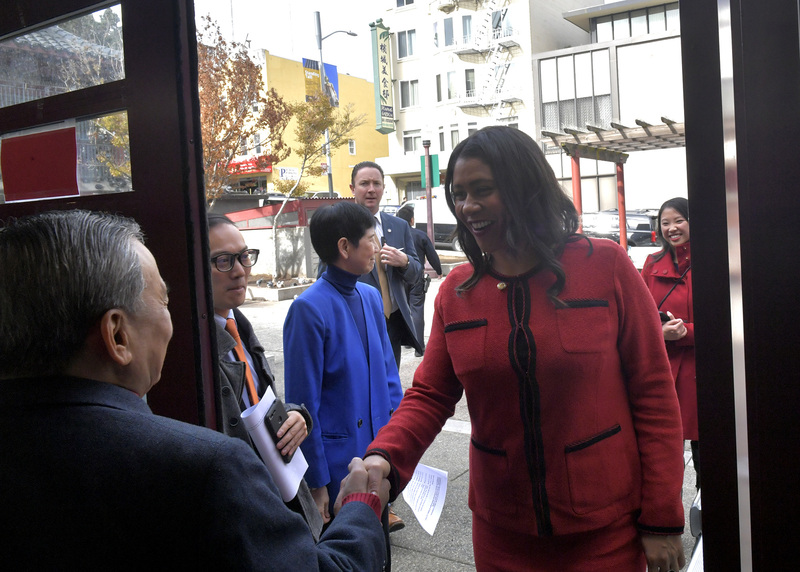 San Francisco Mayor London Breed greets community members during the opening of a new drop-in center run by SFPD at Portsmouth Square clubhouse in San Francisco, Calif., on Wednesday, November 28, 2018. 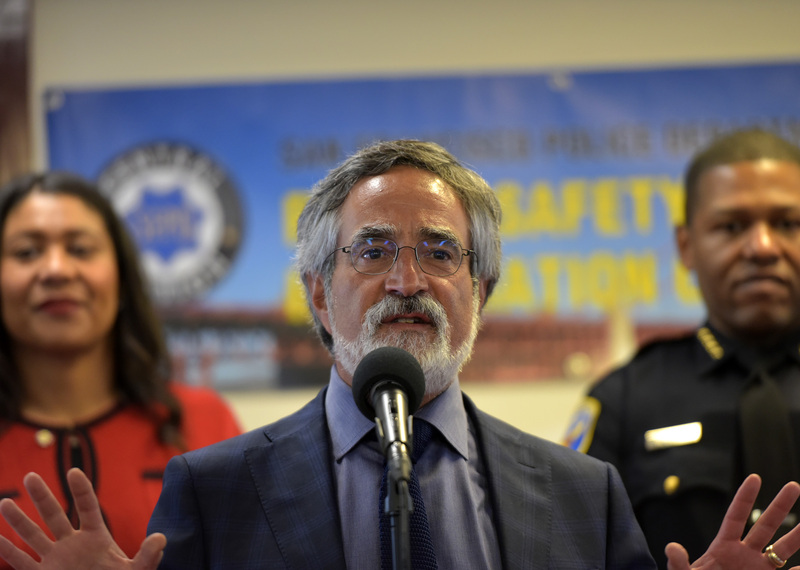 Supervisor Aaron Peskin speaks during the opening of a new drop-in center run by SFPD at Portsmouth Square clubhouse in San Francisco, Calif., on Wednesday, November 28, 2018. Some of those side conversations include people who have told him about a crime in passing, but when Yep searches for a police report, there isn’t one. “If we build our rapport with our police officers I know that crimes reported will increase and I know that community will be in much better shape.